CABLING – In Sync Systems Inc. 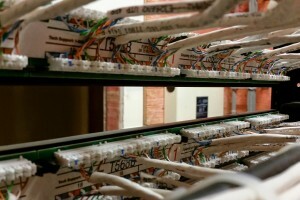 In Sync Systems is a full-service cabling company that provides certified voice, data and fiber optic cabling solutions. Our highly-trained installation personnel will satisfy your networking needs from site survey to project completion. Our project managers will provide you the right product to most- efficiently handle your network traffic. A voice and data network is the backbone of your organization’s connectivity to your customers and co-workers. It is vital to choose wisely when installing or upgrading your company’s wiring. The wiring we install is the whatever best fits your business and is up to your discretion. This includes, but is not limited to Cat 5E, Cat 6, Cat 6A, and Fiber.